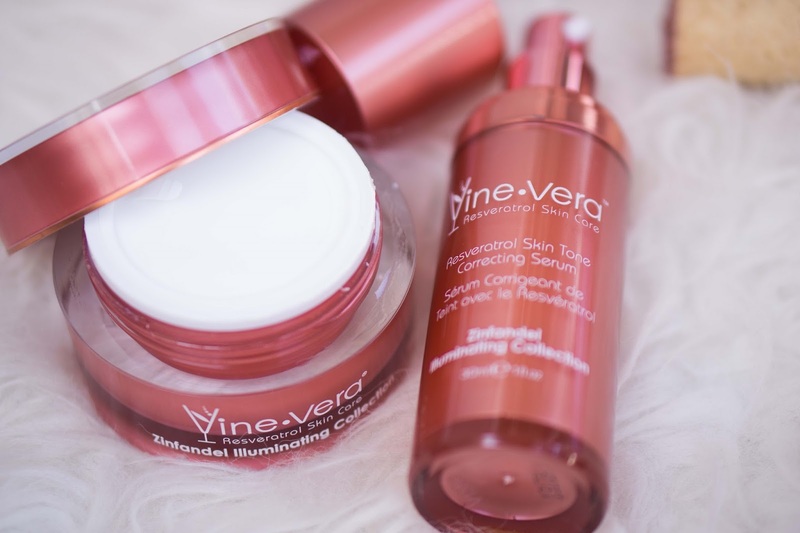 Have you heard of Vine Vera? Well, I've been using their skin care products every night for the past week and I just had to share a review with you, muses! 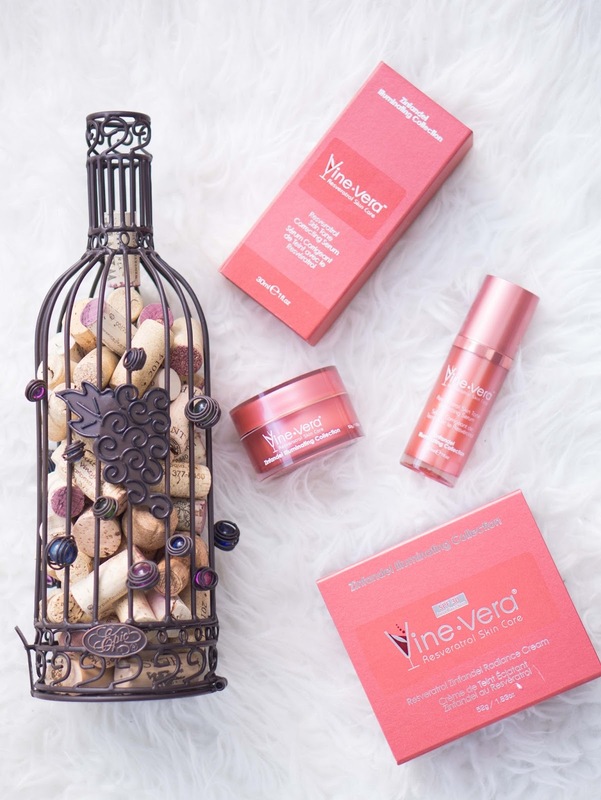 What sets Vine Vera apart from other skin care brands is their use of resveratrol. 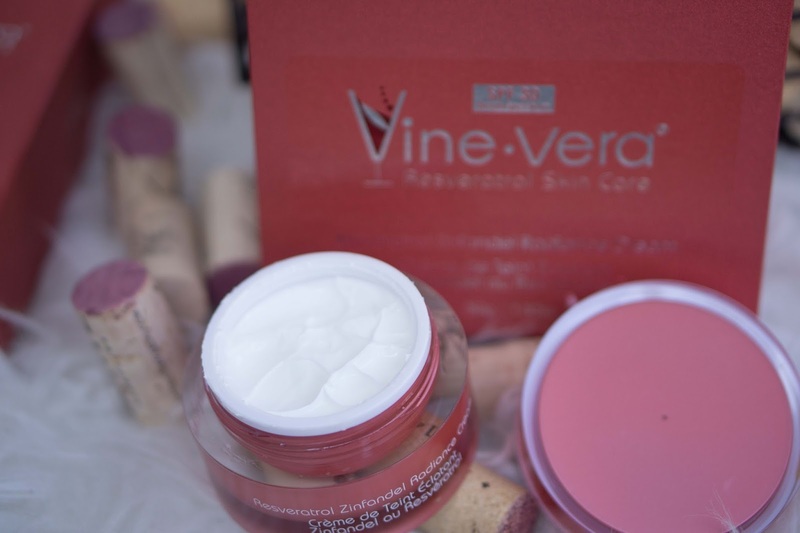 Resveratrol is a compound found in plants and largely in the skin of red grapes. It is partially what makes drinking red wine good for you, as it can help reduce the risk of cancer. But it can also help take care of your skin! 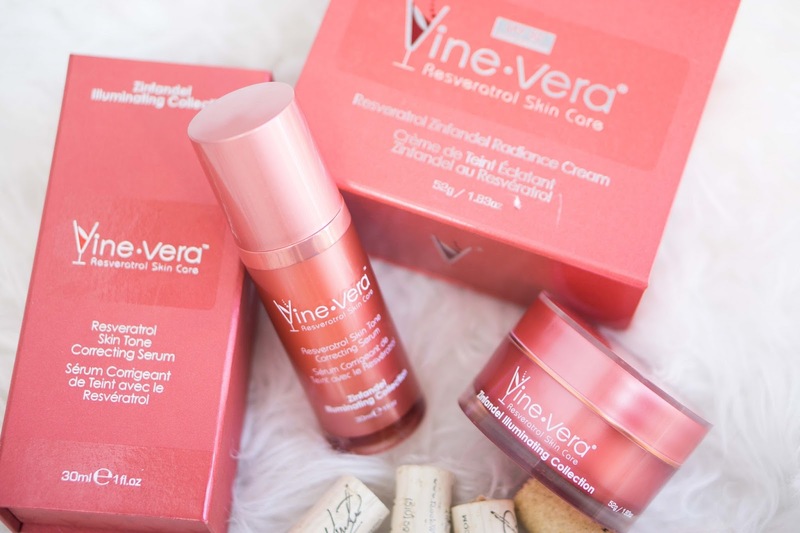 For my skin care needs, I choose to use two items from the Vine Vera Zinfandel collection: the Resveratrol Zinfandel Skin Tone Correcting Serum and the Resveratrol Zinfandel Radiance Cream with SPF 30. I tend to have issues with uneven skin tone so I like to try products to target that discrepancy. Along with resveratrol, the skin tone correcting serum also includes Vitamins A & C and orange peel extract. It applies smoothly and evenly without any mess. The radiance cream helps to even skin tone and give your face a more balanced look. Even though people tend to think I'm younger than I actually am, I still have skin problems that this radiance cream can combat, especially since the SPF 30 works to protect against sun damage. Other ingredients include Vitamins A & E and green tea to reduce the appearance of dark spots. The very first ingredient in both the radiance cream and correcting serum is water, which is always a good indicator of a solid skin care product. The cream is also easy to use, and certainly contains enough product to last a while in your daily skin care regimen. This makes both the Skin Tone Correcting Serum and Zinfandel Radiance Cream worth their price. I will continue to use both products going forward as I've started to see some results so far, but am looking forward to even bigger and better results in the near future. And if the Zinfandel collection isn't really your style, then check out some of the other collections by Vine Vera, including the Moscato, Merlot and Sauvignon Blanc collections to name a few. Collections include exfoliants, cleansers, eye serums, peels and more! By the way, the red wines with the most resveratrol are Malbec, Pinot Noir and Petite Sirah! Happy drinking and be sure to take care of your skin as we transition from winter to spring! I had not heard of this brand, however I have used one with a similar concept that is made in Chile- where they're known for great wine. I've never heard of this brand before either...thanks for the heads up, Cheryl:) And I love the packaging! 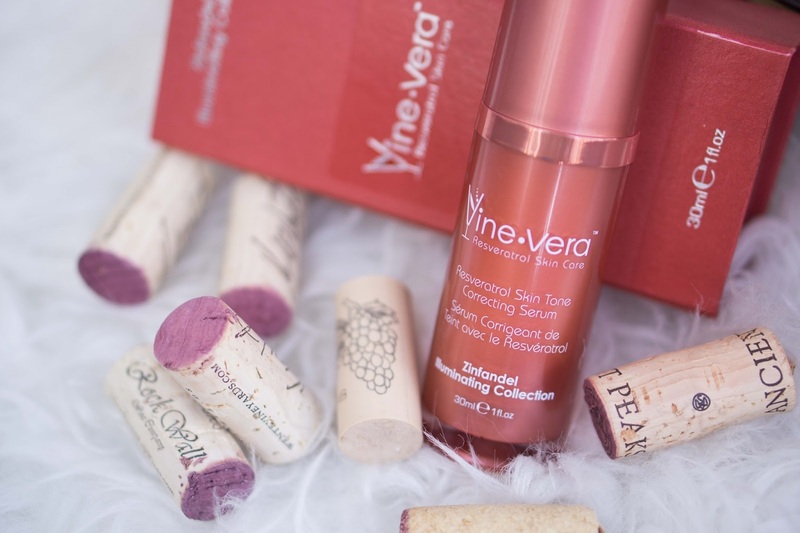 I've used products with resveratrol in them before and really liked the effects. Will have to check out this line. I've never heard of this line before, but the products sound really great! Keep us posted! I remember hearing a little about the brand so thanks for sharing more information! I wish I could go to wine country! I'm in San Francisco now but for a very short stint. Hopefully I can get to the greater bay area next time and maybe even meet up with you too! I love it when I hear beauty products working! It also seemed like you were seeing a difference in a short period of time! reservatrol really works. I would definitely try these!